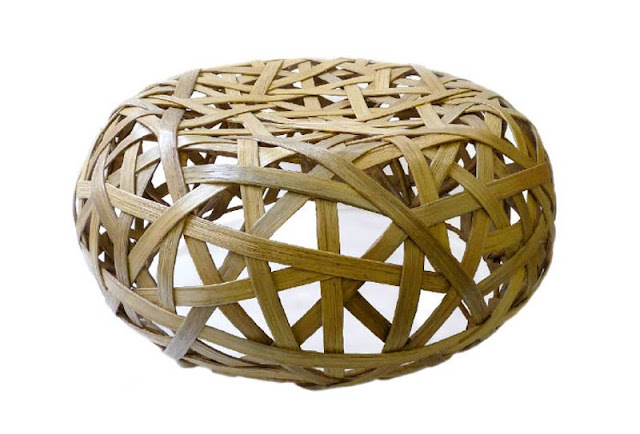 This beautiful serene round wicker ribbon stool is a joy to behold. Natural untreated rattan swathes metal frames for a sturdy yet airy design. With its circular shape, open design and flowing lines, the wicker ribbon stool lends itself perfectly for a relaxed living space. The wicker ribbon chair flawlessly combines modern lines with naturally warm rattan. The result is a beautiful sculptural stool that has instant appeal. This exquisite wicker ribbon stool has become an instant classic with its distinctive timeless features. Very simple and effortlessly elegant, this beautiful stool will compliment any interior style. Every wicker ribbon stool is different "as supplied by mother nature" displaying its own distinctive pattern and wicker grain. Each is unique. All are beautiful.